A visionary with the passion to be the best through his ideas, creativity and most innovative marketing solutions, Mr. Himanshu Shah – Chief Mentor of SOI Group has been into business since last 37 years, into Media business since last 21 years. Pioneer in the Events & Live Marketing industry, 15 years back he spearheaded the SOI Group to become a leading National Live Marketing agency which now has pan India presence with offices in Ahmedabad, Delhi, Mumbai, Kolkata and has serviced more than 100 leading National brands. Today he is mentoring Golden Vibes (Events & Weddings), Eventaa (A Global Portal for Event Industry), Digital Atom (Digital Marketing Agency) and other SOI Group Ventures. He is also the Managing Trustee of All India Consumers – an NGO run by SOI Group and since last 15 years, the Managing Editor of the News Agency – Sampurna Samachar Seva. Keeping age no barrier, to take the business to the next level and to align himself with the international standards, he decided to opt for Cambridge Judge Business School affiliated Entrepreneurial MBA. 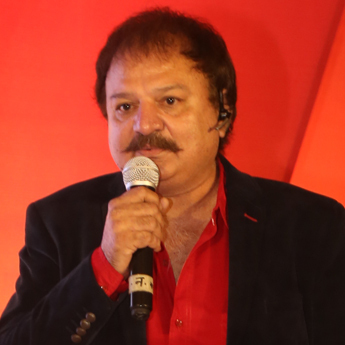 He has also contributed to the industry by holding senior positions in various Industrial Organizations like General Secretary – Rural Marketing Association of India (RMAI), Ex-Vice President of Event & Entertainment Management Association (EEMA) – West. He is also on the Board of Directors of various Social Organizations. 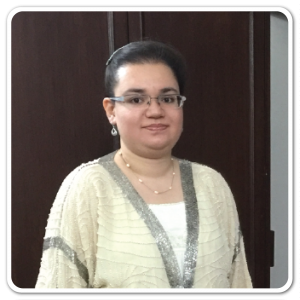 A budding entrepreneur with entrepreneurial blood, joined the SOI Group after completing her BBA (Marketing & Finance). Two years into the business, wherein she worked with all the departments; be it accounts, marketing, law, HR, etc. Her vision and the desire to learn more and to sharpen her entrepreneurial skills, she opted for Cambridge Judge Business School affiliated Entrepreneurial MBA. Since past 4 years, she is on the Board of Directors in SOI Group which has interest in Golden Vibes (Events & Weddings), Eventaa (A Global Portal for Event Industry), Digital Atom (Digital Marketing Agency) and other SOI Group Ventures. She is also the Bureau Chief of All India Consumers – an NGO run by SOI Group. A part of the SOI Group since past 17 years and on the Board of Directors in SOI Group which has interest in Golden Vibes (Events & Weddings), Eventaa (A Global Portal for Event Industry), Digital Atom (Digital Marketing Agency) and other SOI Group Ventures. She is also the Trustee of All India Consumers – an NGO run by SOI Group. Currently, as a Company Director she continues to be a Strategic Advisor to the Group and also has a stake in SOI Group Ventures. She has worked her way up from being a Manager to the Director in the SOI Group and has also earned a stake for herself in the Group. 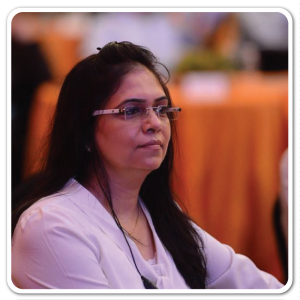 As a key partner to Mr. Himanshu Shah – Chief Mentor of the SOI Group, she has been instrumental in its growth from being a Regional agency to a National Agency in the field of Marketing & Events. SOI now has pan India presence with offices in Ahmedabad, Mumbai, Delhi & Kolkata and has served more than 100 Leading Brands of India.